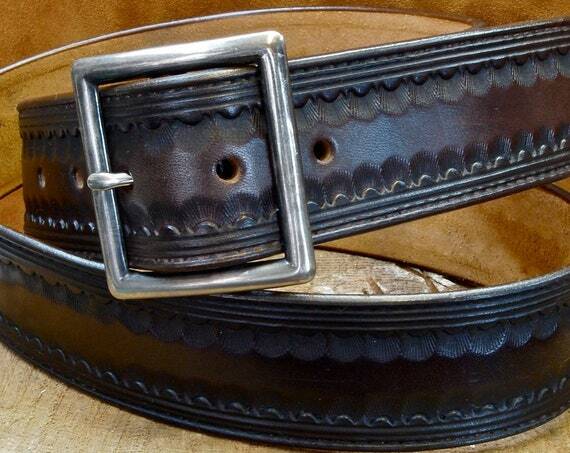 $199.00 Brown leather belt : Tooled Western border with Distressed buckle 1-3/4" wide. 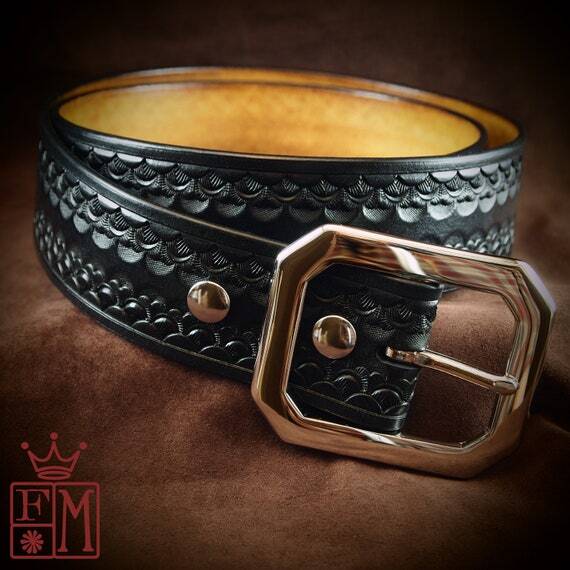 Handmade in USA by Freddie Matara $180.00 Black Leather Belt : Hand Tooled Black Western/ Native border. Custom made for YOU in New York! 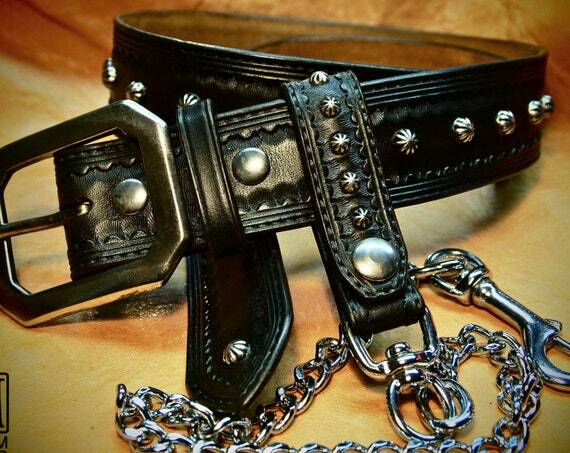 $315.00 Black Leather studded Belt and Wallet chain : Hand Tooled Vintage style! Custom made in NewYork! $315.00 Ladies Wide distressed leather belt : Hip belt Boho Bohemian luxury womens belt. 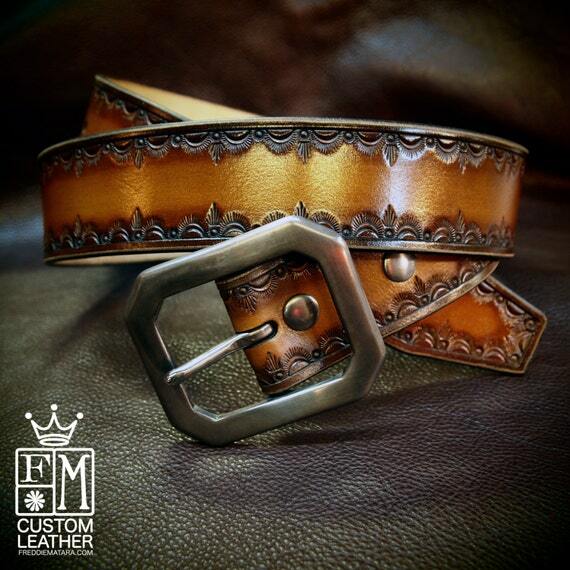 Made for You in New York $225.00 Brown Leather Belt : Custom Sunburst finish. Hand Tooled and made just for YOU in New York! 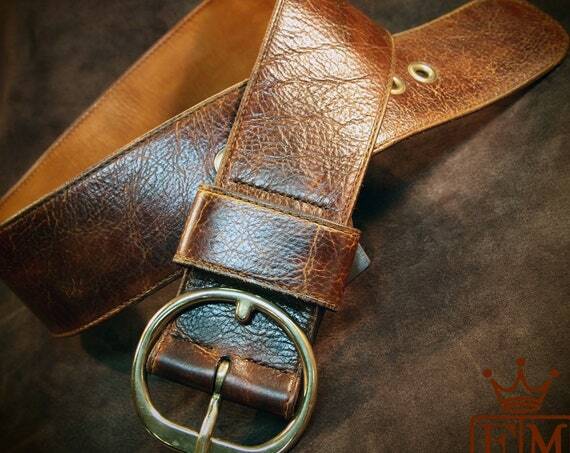 $315.00 Brown Leather Dress Belt : Custom Made Hand stamped rich vintage look. 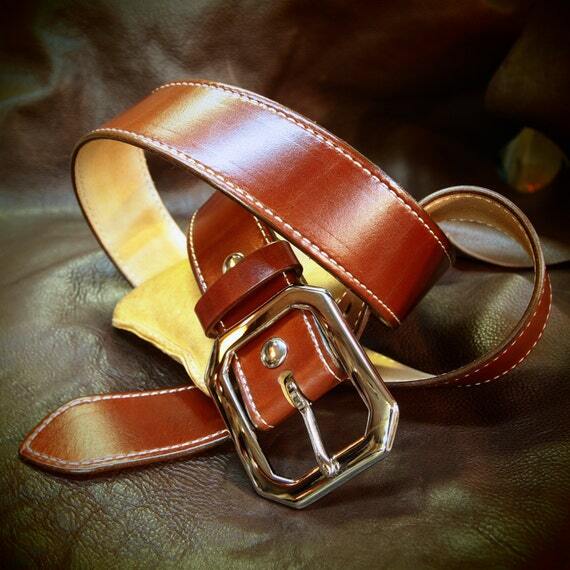 Hand made in New York $160.00 Tan leather belt : 1-3/4" rust brown Stitched luxury strap. Great for dress jeans! 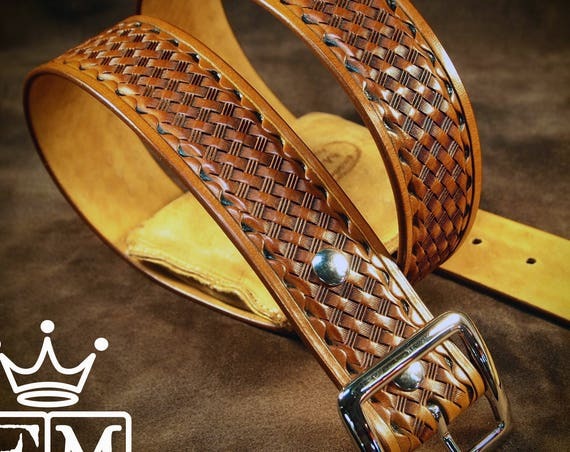 $199.00 Tan leather belt : Brown Tooled basket weave with waved border. Polished nickel buckle 1-3/4" wide. Handmade in USA! 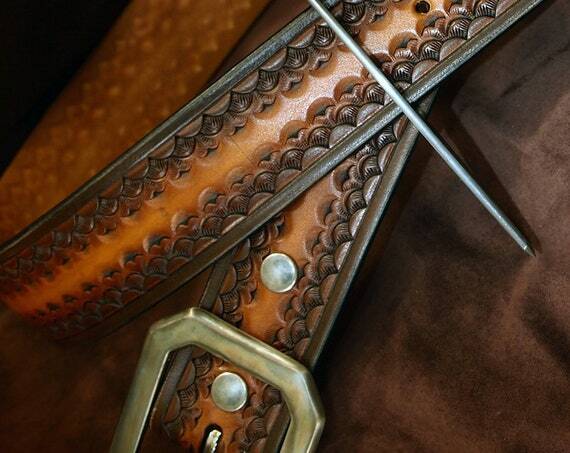 $325.00 Sunburst Leather belt : Brown stamped and tooled Rich sunburst finish! 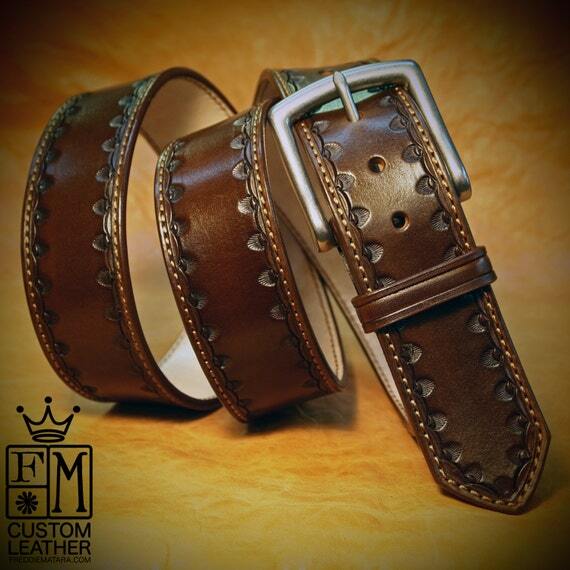 Hand Made for you in New York $275.00 Brown Leather belt : Hand tooled and stamped with a Rich Walnut finish! Custom sized for You! 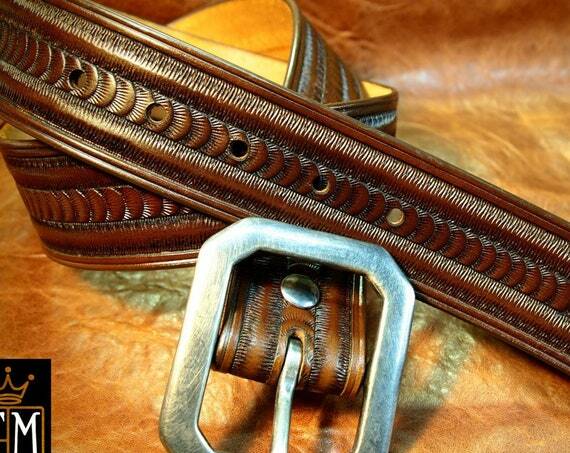 $180.00 Brown Leather Belt : Hand Tooled Cowboy/Western/Native border. Custom made for YOU! 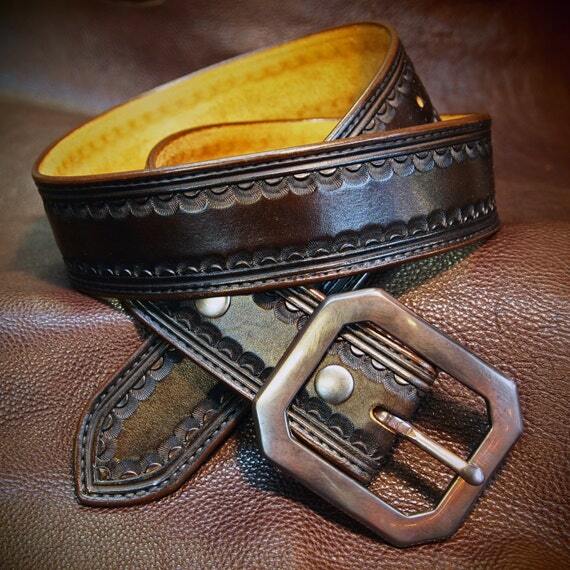 $180.00 Brown leather belt : Hand Tooled Western border with Distressed buckle. 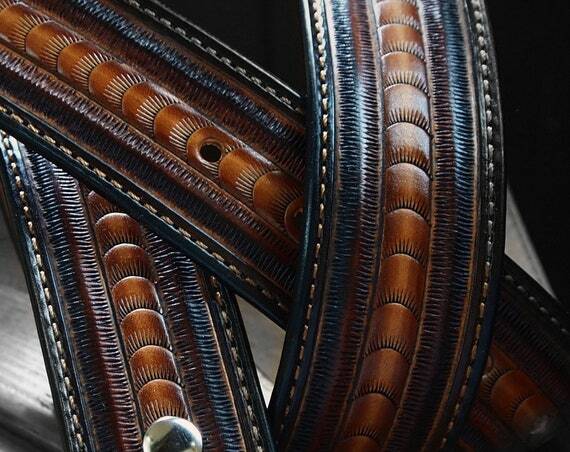 Gun leather/ Cowboy style. 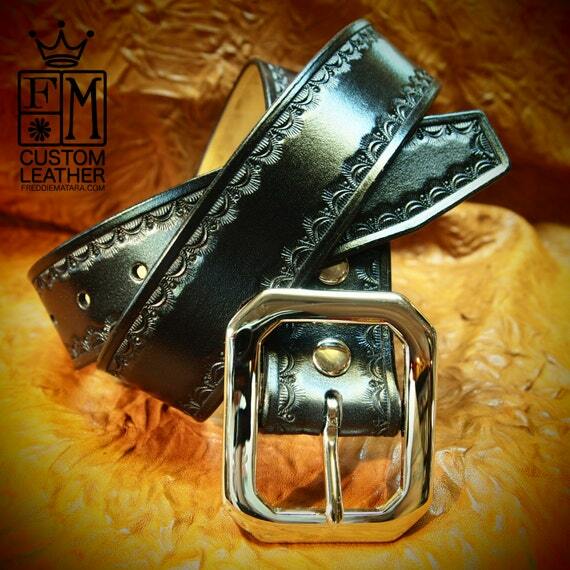 Made in New York $190.00 Black Leather Belt : Custom Hand Tooling with unique Stamping pattern. Fine Vegetable tanned Leather! 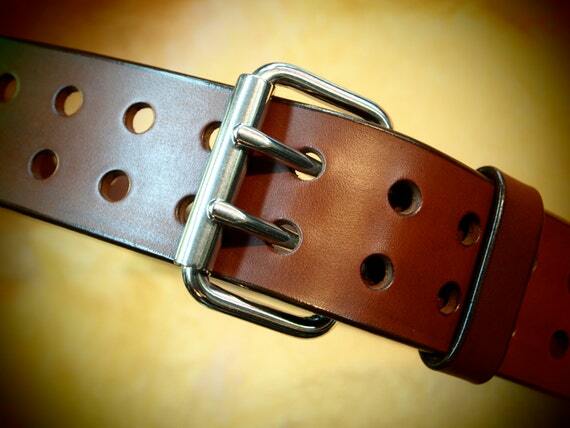 $150.00 Brown leather belt : 2 Inches Wide! Super wide Retro style. Handmade in New York!